Language is changing faster now than any other time in history. Think I am exaggerating? Well, think about it.... We don’t just eat eggs nowadays - we eat cage-free eggs and free-range eggs. We don’t just watch wrestling and boxing - we watch the UFC or MMA. And when we need an extra boost of energy, we don’t just drink coffee. We drink energy drinks, and we take smart drugs or nootropics. And like it or not...we don’t only have male or female any longer. We now also have transgender. Now I’m going to tell you something extremely important...so you pay very close attention. 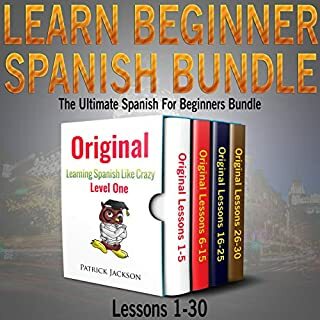 If you want to master real conversational Spanish for the new millennium, then you need a program designed to teach you real conversational Spanish for the new millennium. A collection of 21st-century Spanish vocabulary for technology, the web, social media, veganism, UFC/MMA events, Uber transportation, digital nomad life, etc. I love the concept as well as the execution of the concept in New Millennium Beginner Spanish. It's strange that no one ever thought of this before and came up with a plan to teach modern Spanish. I wasn't sure how good this would be as it is only 5 hours long and, well, an audio book. I was pleasantly surprised that it was far more engaging than I thought it would be. I wouldn't say that I suddenly speak fluent spanish, but I did learn a few phrases I didn't know previously. For that, I'd say this is pretty good. The audio quality is good and the narrator says things at a good pace to undersatand each word and syllable. All in all, I'd recommend this series. 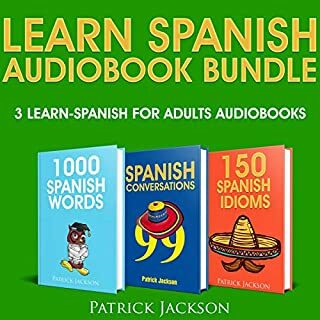 I was actually hesitant about how learning to speak spanish through an audibook would work. At least for me because i need to read and follow along as i speak. However audiobook might be the perfect medium. As i now think learning to speak a language is probably best when you can also hear someone else speak it. And with the medium rewinding is very easy. Maybe not as easy as flipping a few pages but it gets the job done admirably i think. I want to start out by saying that I received a free copy of this program in exchange for my honest review. I am a member of an audiobook club and we receive free copies of some of the audiobooks found on Audible but only in exchange for our most impartial write-up. Secondly, I want to add that I am a life- long student of learning foreign languages. I have three foreign languages under my belt in which I consider myself either fluent of semi-fluent. In light of my experience learning foreign languages, in my humble opinion, I think I am more than qualified to tell the difference between a superb program, a very good program, a good program, an average program and one that falls below average. I rate this program as “very good.” It is easily among that top 20% of Spanish programs I have tried. Maybe even in the top 15%. And I have tried and used many over a period of 30 years or more. There are several things about New Millennium Beginner Spanish that cause me to rate the program as very good. One is that the speakers are all native speakers from Latin America. And it’s very important that a Spanish program has native speakers because you don’t want to walk around Latin America with an obvious gringo accent. There are indeed many, many Spanish programs that have native Spanish speakers. 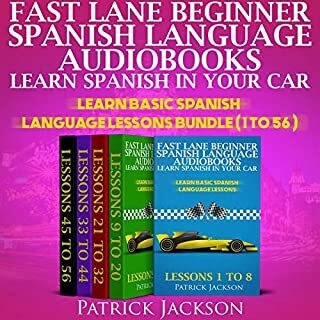 But one of the main things that separates this one from the others is that the instructor has a very intriguing way of teaching Spanish. Throughout the lessons the instructor captivated my interest. While some other programs may have had native Spanish speakers, the instructor failed to hold my attention. Which means their cassettes or CDs eventually found their way to a storage shelf in my closet. But with New Millennium Beginner Spanish I always felt absorbed and involved with the materials. I actually had to struggle not to give this program 5 stars and rate it as superb instead of the “very good” rating that I gave it. If I were 30 years younger or even 20 years younger, I probably would give it 5 stars. But at my age, I do not have as much of a need to learn Spanish for social media. And being the ravenous beefeater that I am, learning Spanish for veganism or reading/writing online reviews of the new and in vogue sushi restaurant is not the type of Spanish that will benefit me at my age. I simply have a greater need for learning Spanish for sightseeing or tourism in Latin America or Spain. But if you’re a young backpacker traveling all over Latin American and Spain, I’m sure that you will love New Millennium Beginner Spanish. There are a ton of learning Spanish programs on the marketing teaching archaic Spanish from many years ago. The best thing about this program is that it teaches modern-day Spanish vocabulary covering everything from technology, the Web, Esocial media, veganism, the UFC and even driving an uber. Mastering 21st century Spanish is just one side benefit of this program. I have purchased quite a few Spanish programs and I'd say this program is just as good as any of the top programs. 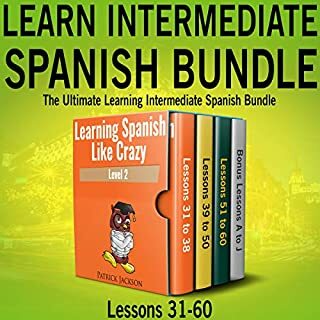 The fact that I am learning to speak and understand spoken Spanish using an effective method while learning Spanish vocabulary for the 21st century is what makes this program one of the best Spanish programs you'll find. I don't have any complaints about this program that I can think of. I guess it would have helped if the program was longer. That is, it would've been nice if there were more hours or recorded audio to this program. 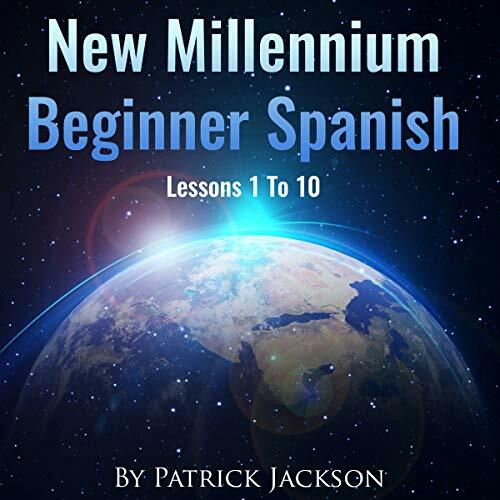 Hopefully, this company will soon release more lessons in this New Millennium Beginner Spanish series. Or even release a New Millennium Intermediate Spanish series and maybe even a New Millennium Advanced Spanish series. As a Spanish instructor and language learning enthusiast, I highly recommend this program. 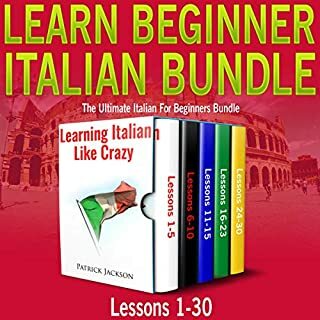 I have already recommended this program to a couple of my students and they both seem to be happy with their purchase. I am expecting to see a lot of progress from them as result of this course. There really aren't too many, if any, Spanish courses that teach contemporary Spanish. So it's not really all that difficult to be the best course for teaching contemporary or modern Spanish. But even if there were others this one would still be among the best because it's a fun and engaging program that gets results. I don't feel as if I am just learning a bunch of contemporary Spanish words and phrases with this course. I am actually learning conversational Spanish. 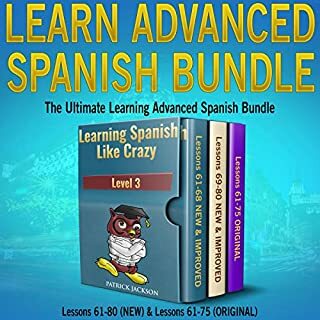 Get this Spanish course. You'll be happy you did.